Uttar Pradesh Police has informed the Supreme Court that the prosecution of a Bareilly boy for allegedly posting objectionable comments on Facebook against senior SP leader Azam Khan only under Indian Penal Code and not under the controversial section 66A of the Information Technology Act which was quashed by the Supreme Court. State Government’s Counsel Gaurav Bhatia informed the Bench comprising of Justice J. Chelameswar and Justice R.F. Nariman, in response to a notice dated March 20, demanding an explanation on the circumstances leading to the arrest of the boy. The boy was charged under Sections 153A (promoting enmity between different groups on grounds of religion, race, etc), 504 (intentional insult with intent to provoke breach of peace) and 505 (public mischief) of Indian Penal Code. LiveLaw had reported last month that the Apex Court had agreed to hear a plea seeking explanation from the Uttar Pradesh Police regarding the circumstances under which a Class 12thstudent was arrested for allegedly posting on Facebook ‘objectionable and offending’ comments against senior Samajwadi Party leader Azam Khan. The instant application questioning the arrest of Bareilly youth was filed by a law student Shreya Shingal, who was the first person to file a PIL challenging the validity of Section 66A of the Information and Technology Act in the aftermath of arrest of two girls in Palghar in Thane district in connection with social media post on account of shutdown in Mumbai following Shiv Sena leader Bal Thackeray’s death. Read the LiveLaw story here. 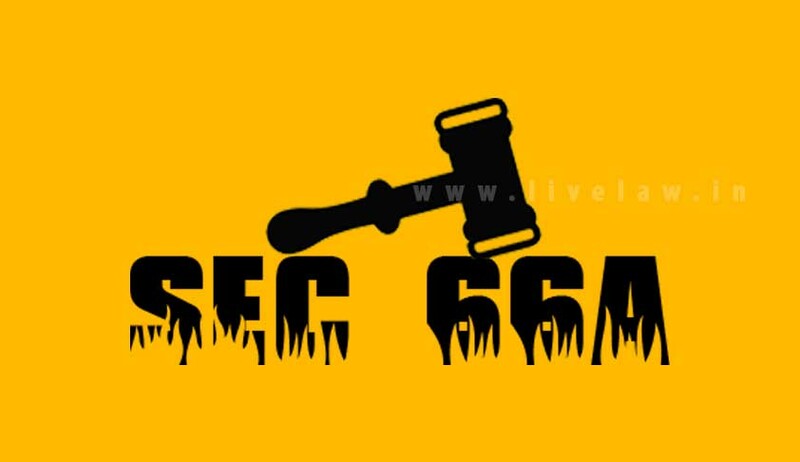 In a landmark decision, the Supreme Court had declared Section 66A of the Information Technology Act, 2000 as unconstitutional. The judgment was delivered by the Division Bench consisting of Justices J. Chelameswar and R.F. Nariman. The judgment, authored by Justice Nariman notes that the batch of petitions before the Court “raise very important and far-reaching questions relatable primarily to the fundamental right of free speech and expression guaranteed by Article 19(1)(a) of the Constitution of India.” Read the judgment and LiveLaw story here.